Rabbits In Easter Egg Hot Air Balloon With Colorful Tropical Leaves Minimal Creative Holiday Concept. Fotos, Retratos, Imágenes Y Fotografía De Archivo Libres De Derecho. Image 118613380. Foto de archivo - Rabbits in easter egg hot air balloon with colorful tropical leaves minimal creative holiday concept. 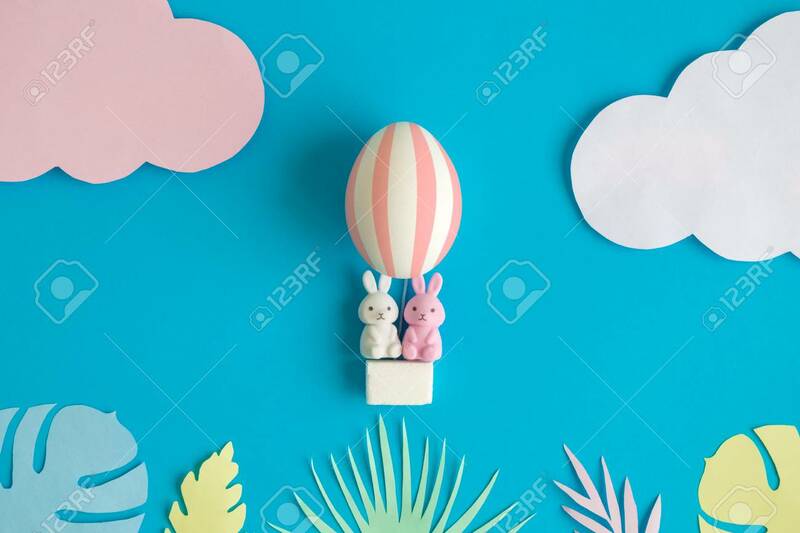 Rabbits in easter egg hot air balloon with colorful tropical leaves minimal creative holiday concept.